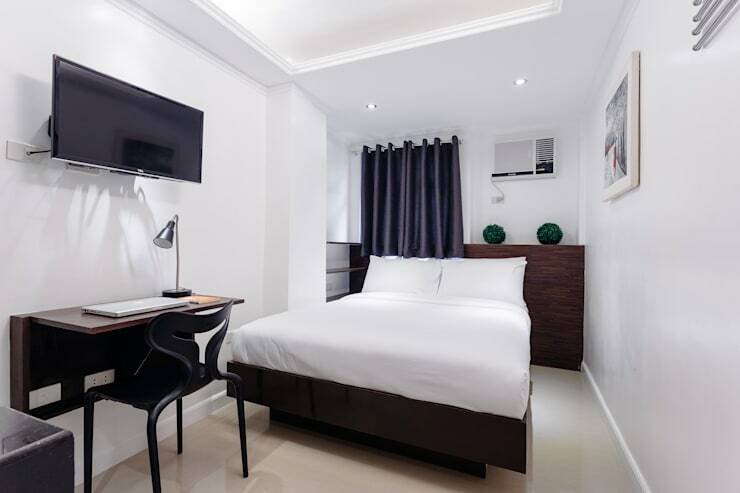 Fall in love with the interiors of this stylish condo hotel! 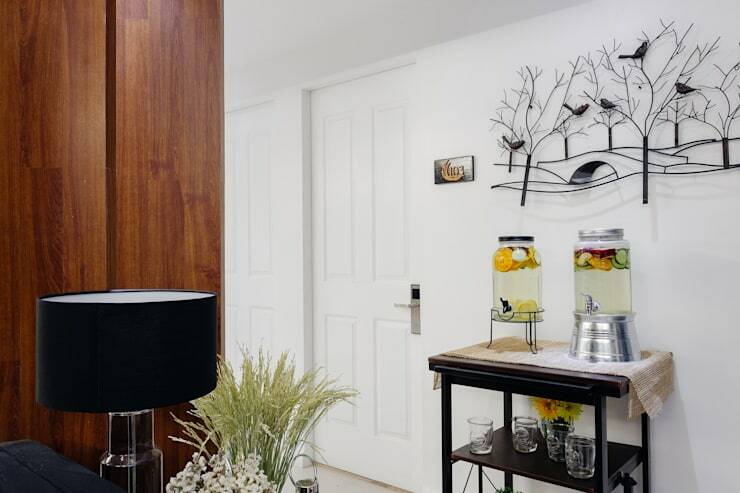 Wondering what it's like to live in a sleek and modern condominium unit? Wonder no more because we have this stylish property in store for you! 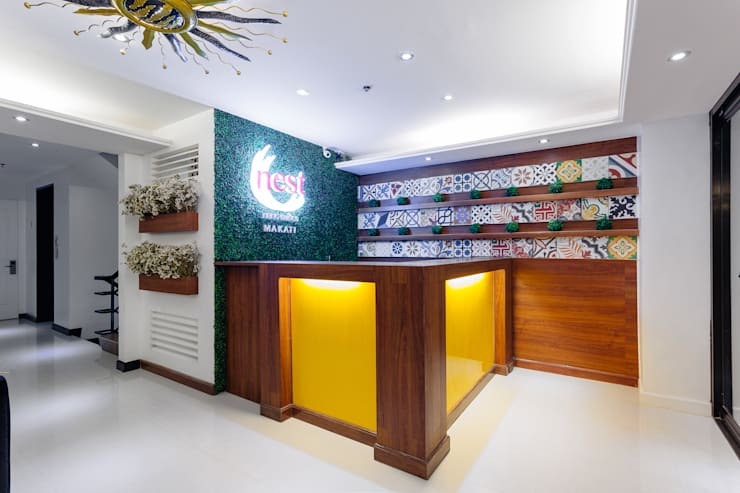 Nestled in the heart of Makati Avenue, Nest Nano Suites Condo Hotel flourishes in aesthetic appeal from its warm front lobby to its actual condo units. 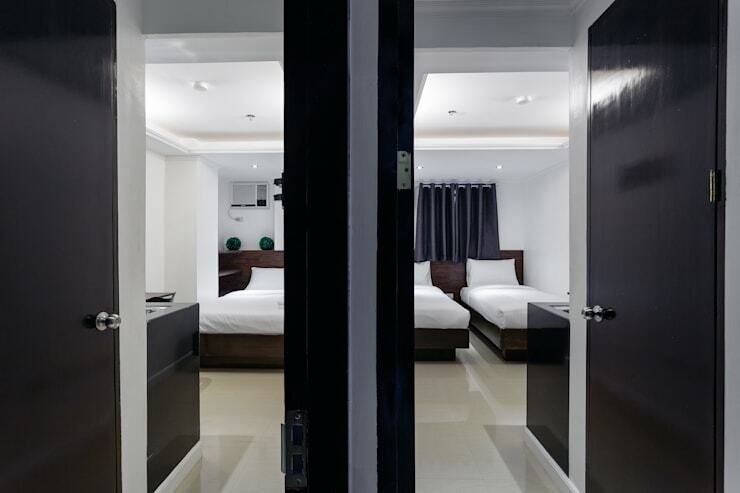 With sleek and cozy interiors designed by Ria Sollorin Silbernick, owner of SNS Lush Designs and Home Decor Consultancy, you'll definitely fall head over heels for this condo hotel! 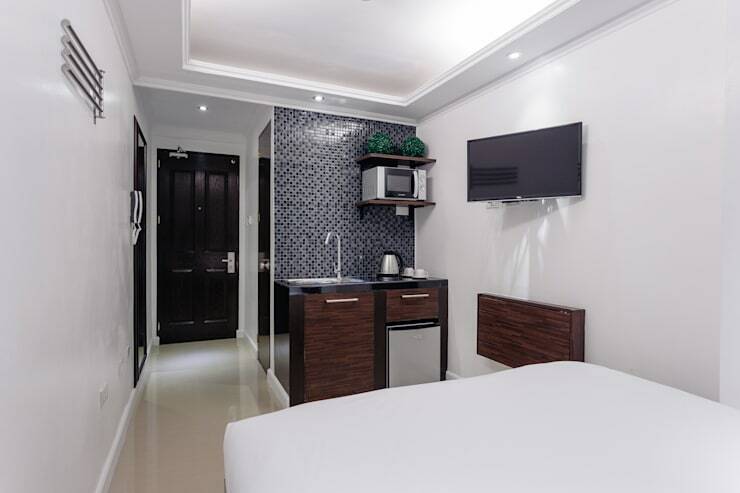 Feel the welcoming aura of this chic and modish front desk area! Offering us a colorful blend of details over white ceilings and floors, this reception area surely knows how to greet guests and homeowners. Bright tones showcase the contemporary approach of the design that instantly livens up anyone's mood! Plus, these playful and intricate details on the wall decor can certainly get your attention. Drag a little bit to your right and there you'll find a stunning lobby area. The sofa, along with its glass accent tables create a very sophisticated look for the condo hotel. 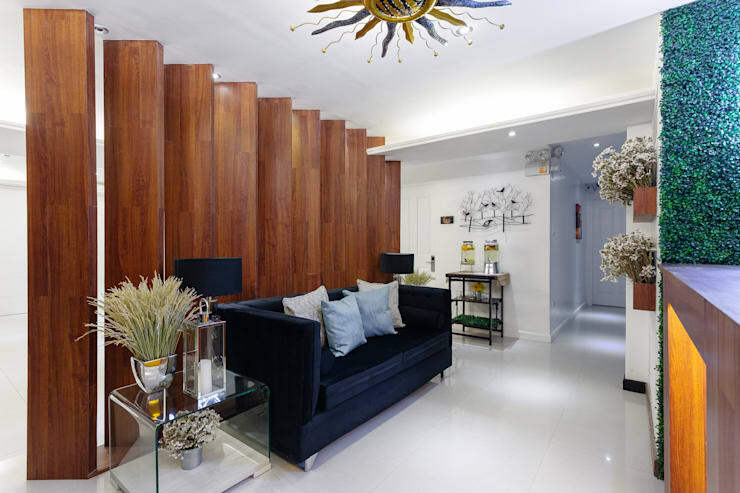 Wooden panels also bring a touch of natural warmth to this highly modern design. Can we also not notice how strikingly beautiful this ceiling lighting fixture is? Overall, a smart blend of elements are evident in this lobby area. What's more refreshing than sipping some complimentary lemon water while gazing at this lovely modern wall decor? To tie up the modern look of the interiors, contemporary pieces are decorated all over the area. You'll like these 14 inspirations for your bedroom wall, too! Why don't we check out the main spotlight in this condo hotel? 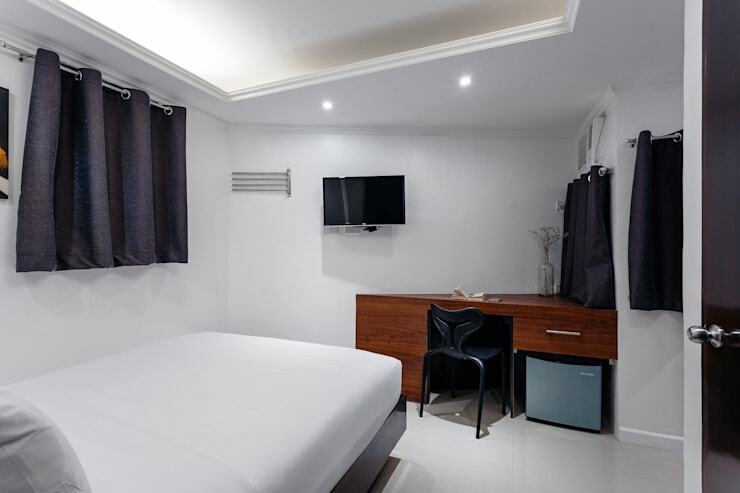 Here's a glimpse of the single and double bed rooms! Say hello to this classy, modern bedroommodern bedroom! Pictured above, you can greatly notice how minimalist the concept is for the interiors. A lovely blend of neutrals beautify the room and create a clean and heart-warming space for relaxation. Designer Ria Sollorin Silbernick has absolutely mastered the art of interior designing when it comes to style and functionality. Haven't you noticed how the work and study table can actually be kept closed when not in use? Check out the hidden table above that's specially designed for condo units with small spaces. The minimalist approach also helps how the spaces are optimized. The bedroom area technically might be small in space (when measured accurately), but it doesn't look tight at all in this angle! Thanks to the crisp, white palette of the room, the area looks wide, spacious, and airy. It evens brightens up the entire bedroom, making it a perfect spot for rest and home-based work. Moving on to the bathroom, the sophisticated modern approach still continues. 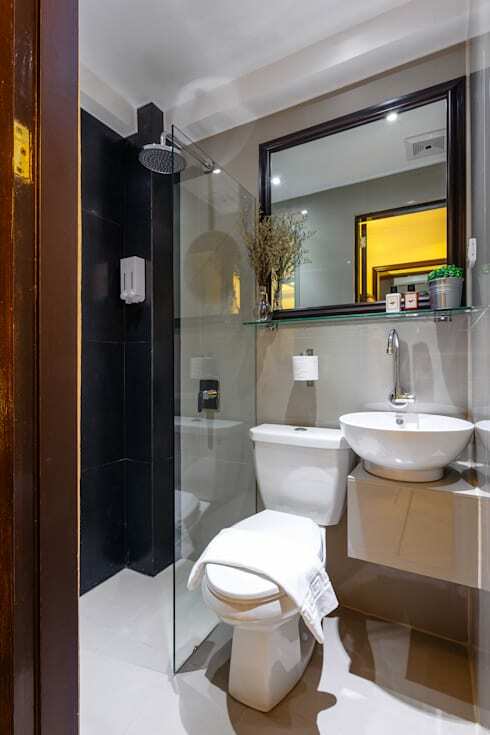 As small as this unit can be, the bathroom is surprisingly furnished and equipped with all the essentials you need! It has the perfect divisions for the dry and wet area, and the materials used are simply appealing. 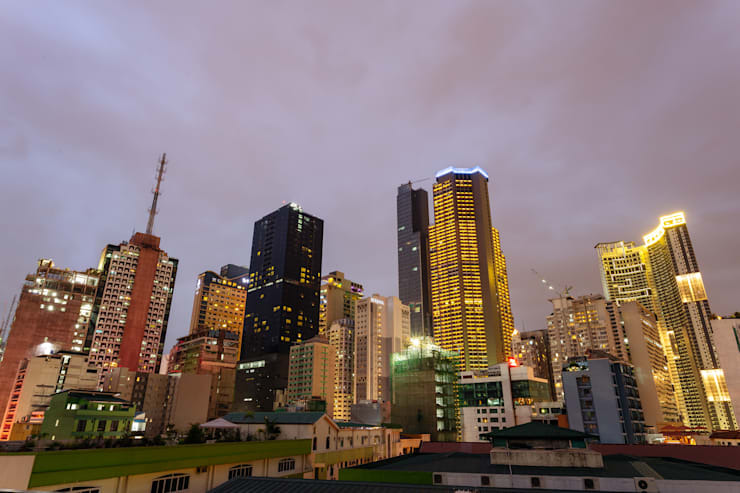 To top off the lovely set of interiors you saw, take the privilege to enjoy this mesmerizing city skyline from Nest Nano Suites Condo Hotel! If you're enjoying the features of this ideabook, we get you! We at Homify love the projects designed by Ria Sollorin Silbernick and her team! With Ria's passion for home styling, staging, and renovation, she surely believes that creating space is not only to be noticed, but also to be remembered. Check out more of Ria's projects here!